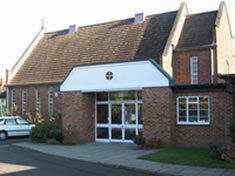 St. Mark's Crescent Methodist Church is located in the Pinkneys Green area of Maidenhead, Berkshire in the United Kingdom. We are a vibrant growing church at the heart of the local community. Our mission is to offer a welcome to all and make a difference in people's lives by building relationships with God and each other. Use the menu on the right to find our weekly notices, regular LINK magazine and diary for details of both current and future events. These are all in pdf format that can be read using Adobe Reader. Use the icon to download and install the latest version of this free software. St Mark's is a church at the heart of the community with the community at its heart. Please go to our Community Activities page for details of our regular church involvement. We are close to implementing an exciting new building project to transform our premises for 21st century community use - see more details here. "All of you are Christ's body and each one is part of it"